I was in a waiting room, sort of like at a doctor's office. It was me and someone else, an older person, maybe my mom. The other person was sitting and reading something and I was pacing nervously around the room. At some point I noticed through an open door a woman laying on her side on some sort of white examination table. She was wearing a patient's gown that left her back exposed from the waist up. A doctor (I guess he or she was a doctor) was unplugging a large, thick, red and blue braid of wire from the back of her head. The woman shuddered as the wire was pulled away. The doctor was speaking to her in a calm tone, reassuring her everything was okay. When the wire was pulled completely away, I noticed it had been plugged directly into her exposed brain right where the spinal cord goes up into the skull. When I saw the exposed area I became uneasy, like I would faint, and suddenly very upset. I started to cry and scream because I knew what was going on. It was some sort of process where people would go into long sleeps and live paradise-like fantasy worlds. I didn't know exactly what was in the worlds, but I knew the people had all of their desires fulfilled and nothing to worry about in the world. Everything there was peaceful and happy, and when they were plugged in the people stayed in that state for several months at a time. When they were finally unplugged for a short while before they went back, the people had to be relaxed and reassured because it was emotionally painful for them to return to reality. I continued to cry and scream as the doctor gave the woman some kind of a short just above the elbow. The person in the waiting room was trying to console me, telling me that it would be okay and that it didn't hurt much and that I was going to be very happy. But I knew something was terribly wrong with it all. When people started getting the treatment, being plugged into the paradise worlds, it was optional, but I suspect that it was becoming less and less so. I then started to choke, uncontrollably, like something was caught in my throat. That's when I woke up. It turns out I really did have something in my throat, like a crumb, while I was sleeping and that's what woke me up. I continued to cough and choke as I sat up in my bed until I dislodged the thing. It was around 4am. I went to the kitchen, had a sip of water, then went back to bed. wow... thats horrible. Gosh, haha my eyes watered. ONLY A LITTLE. Anyways... yeah. Wow. Not a good dream. I dream every night. But I usually ALWAYS dream that I'm running from someone who is trying to kill me, or I'm being rescued from a bomb. TOO MUCH TV. Well anywho, you just learned something about me! And yes.. copy and paste is always slightly pathetic. wow, that's really sad in a way. have you seen the movie inception.? it has leonardo dicaprico in it. they go into special fanatasy worlds as well, and it kind of sends them insane when they wake up. 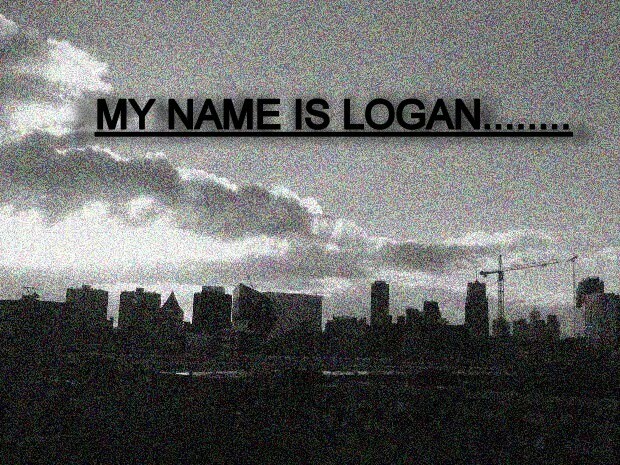 its been to long Logan... you'd better have a good excuse for leaving me in so much suspense about your life. :) You'd better show up soon! nearly 20 days is just to long. We've embarced on a new month my friend... I miss you! :) Hope you come back soon.